There is an opinion in the romance world, that historical romance is dead. Well, clearly it isn’t, there are a lot of folks writing historical romance and quite a few still read it. However, contemporary romance certainly does sell better. For example, last summer when Highland Solution was on a Book Bub deal, it became the number one bestselling historical romance on Amazon. It reached number 45 in all Romance and about 150 in all Kindle books. This means that of the 150 top-selling books on Amazon, about one third were romance but only one of those was historical romance. 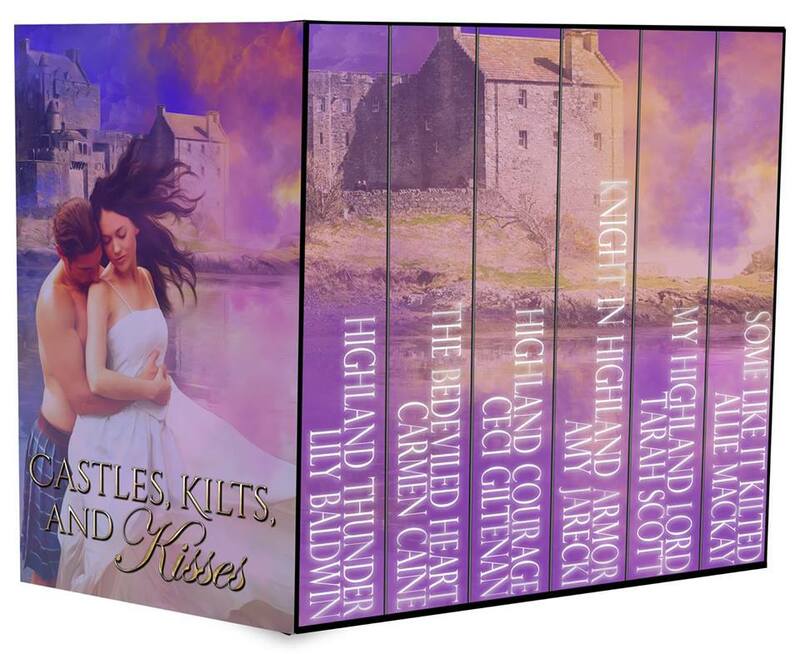 Currently, Highland Courage is in a bundle called, Castles, Kilts and Kisses, with books by five other great authors, Tarah Scott, Lily Baldwin, Sue-Ellen Welfonder, Amy Jarecki and Carmen Caine. As I am writing, it is the number one bestseller in Medieval and Regency, number three in Scottish and number 14 in historical romance. But it is not in the top 100 romances in general. In fact, currently only about the top six historical romances are in the top 100 romances. So why do I write historical romance? It isn’t for the fame. I am not likely to ever be famous. It certainly isn’t for money. Even with five moderately successful books and three bundles on the market, I don’t make enough money from them to pay the bills. I write historical romance because it is not dead and I want to make sure that it doesn’t die. There are still many people who love to read historical romance. I am one of them. I write historical romance because I can infuse stories with values I admire. It is perfectly normal and historically accurate for my heroines to be virgins until they are married, be committed to making a marriage work instead of leaving it when it becomes difficult, and have deep faith which sustains them. When these values are included in a contemporary novel, it is usually classified as “Christian.” I don’t have a problem with that, but there aren’t many Christian romances in the top 100 either. Finally, I write historical romance because I love the fairy tale quality that castles and chivalrous men imbue. Some would argue that contemporary billionaire romance has the same fairy tale quality with a modern twist. I don’t disagree, but a castle will always hold more appeal for me than a penthouse. This entry was posted in Uncategorized and tagged Amy Jarecki, Carmen Caine, Castles Kilts and Kisses, historical romance, Lily Baldwin, Sue-Ellen Welfonder, Tarah Scott. Bookmark the permalink. I couldn’t have answered “why” I love historical romance any better than you did. You definitely nailed all the key points and my most favorite is “…but a castle will always hold more appeal for me than a penthouse”! I really love that line. I’ve never been a fan of Contemporary Romance. I’ve always had a thing for Historical Romances and I do love the innocence of the heroines. Especially how in today’s world the divorce rate is so high, I enjoy the fact that these women will do anything to save their marriages. Also, a bit of tradition and values are always good to read in historicals. Love historical and will continue to read as many as I can! Hope you’ve been well Ceci. All is well here. Much too busy with the day job, but hopefully it will level out soon. I can't wait to hear what you think of Highland Echoes–it is my favorite so far! So glad to hear all is well. I promise to let you know what I think of Highland Echoes, sorry I haven’t had a chance to finish reading it yet. Been super busy with school; weekly exams and weekly assignments due. I’m done in August that’s why I’ve been so busy lately. No worries at all. Good luck with all your school work! I, too, agree that Historicals are not dead! I love them and are the only ones to grace my Kindle Library. Romance by definition is a feeling of mystery, excitement and remoteness from everyday life. Historical romances, really fit that particular definition. Perhaps that is what most appeals, the remoteness from everyday life, traffic jams, computer problems, text messaging- happily far from the Highlands in the 1300s. I must say, I had been in search of a new author of Historicals, whose level of storytelling, mystery, excitement and remoteness from the everyday, was well balanced and intriguing. I am excited to say yours do that! I loved the Duncurra series. Each character was well rounded and developed, the stories fun and exciting. They truly keep me turning the pages. I was so excited to start the Fated Hearts series and was not disappointed! I have to say though that Grace was delightful and perhaps one of my favorites ever. I can’t wait until Anna’s story comes out! Wow. The remoteness is exactly what I love about medieval romance too. Maybe that is why you enjoyed reading my books. Grace is, hands down, one of my favorites too. Thanks for contacting me. It made my day! Presently reading Castles, Kilts and Kisses and loved Highland Courage!!! I look forward to reading more of your books. I am so glad to hear you enjoyed it! Thanks for letting me know. I always appreciate reviews on Amazon for either the Bundle (Castles Kilts and Kisses) or the individual book.